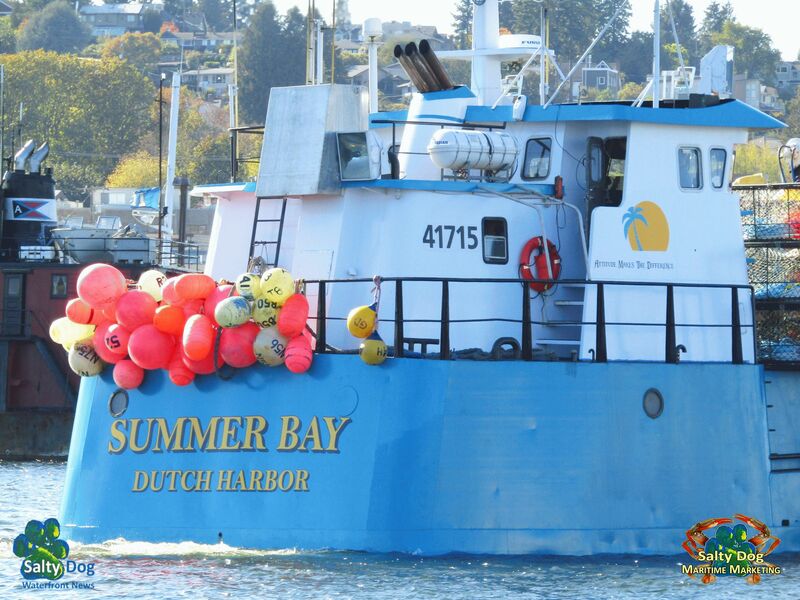 F/V Summer Bay, the new boat on Deadliest Catch, Season 13. Summer Bay is Captain Wild Bill Wichrowski, has just rolled into finishing up Season 14 on the Summer Bay Bill’s new Alaska Bering Sea Crabber. 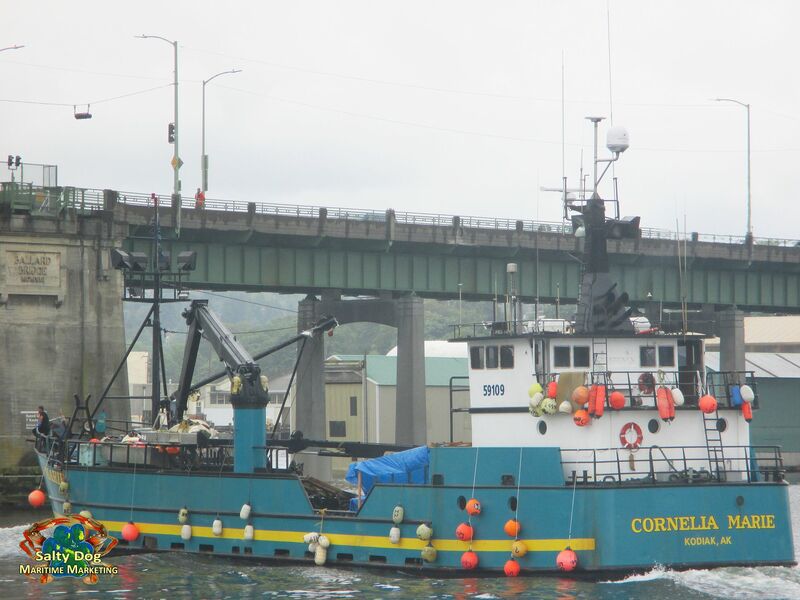 As a new Deadliest Catch Crab boat joins the 13th season on Discover Channel, F/V Cornelia Marie Captain Josh Harris announced that his boat will not be filming for Deadliest Catch Season 13. 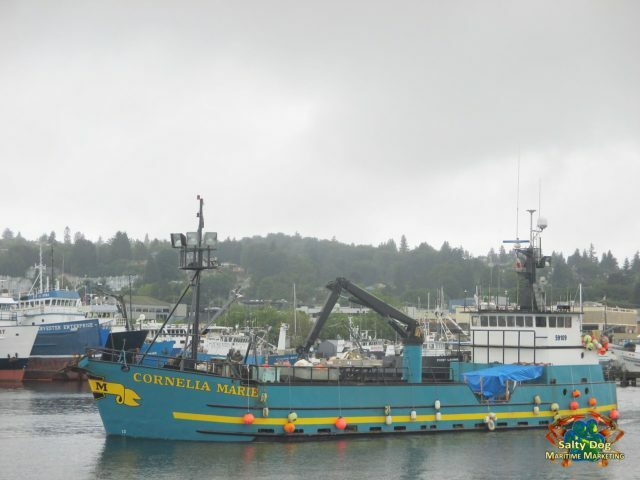 Yes, the F/V Cornelia Marie is back on Season 14, that launched back in Discovery in April; the scuttlebutt is Josh had some family matters to attend to for the past year and a half, of course the boat remained fishing with Captain Casey McManus a long and faithful Trident Seafoods seasoned fishermen. 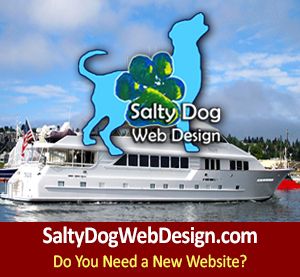 F/V Summer Bay, more photo’s and more Deadliest Catch AK Crabbers, Photography by: Salty Dog Boating News Boat Spotting Go To: https://saltydogboatingnews.com/deadliest-catch-brenna-a-sean-northwestern-sig-wizard-keith-cornelia-marie-casey-josh-ak-crabbers/ Enjoy our Salty Dog Commercial Marine Traffic Spotting! 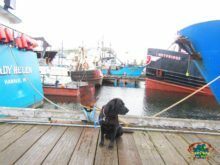 This summer Captain Wild Bill bought the boat, she was in Seattle at Pacific Fishermen Shipyard in Ballard, F/V Summer Bay took a good grip of time getting shipyard work ready to get the snot beat out of her in the unforgiving Bering Sea. 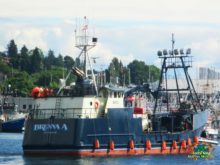 In late September Summer Bay zipped from Pacific Fishermen Shipyard to Fishermen’s Terminal to load pots and gear before making the uphill jog to Alaska. 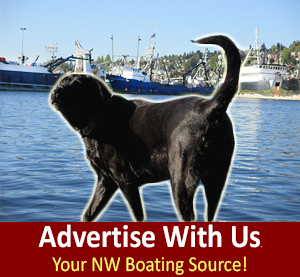 Salty Dog Boating News, Marine Traffic Commercial Fishing & Workboat Source – Pacific Northwest to Alaska! Wild Bill’s son Zack Larson, and now the oldest crew member, expectations as a fisherman are very high; Zack has not worked with his Dad on the Summer Bay, he’s been over with Captain Sean Dwyer on the F/V Brenna A. At a mid 20’s man, Zack reunited with Captain Wild Bill on the Bering Sea in Alaska. 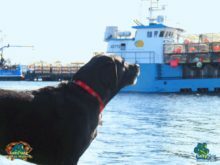 Back in 2010, Zack returned to fishing on the F/V Kodiak, one of the boats featured on past seasons of Deadliest Catch. 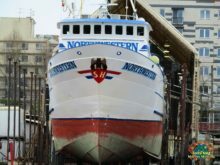 He spent two and a half years aboard the Kodiak. 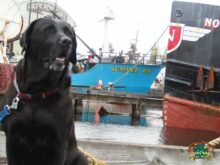 The F/V Kodiak is now owned by a former Kodiak Engineer, she’s spotted often in Seattle’s Ship Canal in the Lower 48, usually down by Trident Seafoods, on the hip of a Silver Bay Seafoods Boat, in her off fishing and tender seasons. When Captain “Wild” Bill took the helm of the F/V Cape Caution in 2012, Zack joined his Dad at sea; season 13 and 14 of Deadliest Catch, Zack has been over as engineer on the Breann A.
Deadliest Catch Boat Spotting Pics, Visit! F/V Brenna A. Captain Sean Dwyer, Deadliest Catch, Sister Boat F/V Jennifer A.
F/V Summer Bay, Deadliest Catch, Captain Wild Bill, New Boat, Season 13, Crab Pots just got loaded at Fishermen’s Terminal, Wild Bill Calls in for a Ballard Locks Drop, Northbound to AK Bering Sea for King Crab Season, Dutch here they come! 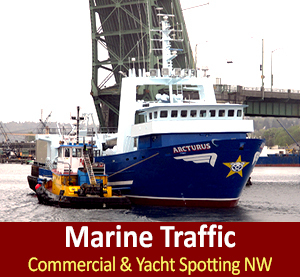 Photography by: Salty Dog Boating News, Salty Dog Maritime Marketing, Salty Sea Chick Marine Traffic Underway Source PNW to AK Pulse, God Bless our Fishermen, Eat Fresh, Buy Wild! 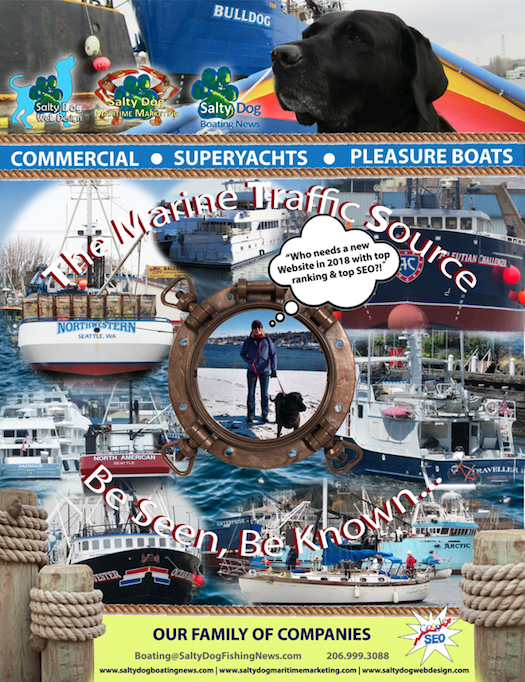 Sea Hawk Paints, Boat Bottom Paint, West Coast Fishing Boats & Fisheries, Best Paint Is Sea Hawk Paints, Premium Anti-Fouling and Ablative Marine Coatings: Tips From TONY, Painting West Coast Fishermen’s Source! Captain Josh Harris officially announced while back – that his boat the F/V Cornelia Marie will not be filming for Deadliest Catch Season 13 of 2017 – after appearing in all 12 previous seasons. Harris, emphasizes that the decision to not include the F/V Cornelia Marie next season was entirely that of Discovery and the production company in charge of Deadliest Catch and that it had nothing to do with money. Josh Harris explained family matter to attend to, younger brother Jake Harris was brutally beat up and left for dead on the side of the road and has such be undergoing months of intense recover. Harris explains he had to leave the boat to come home and take care of things; RIP Grandpa Harris! Captain Josh Harris was quoted in Mid. Oct. 2016 as stating, “To set things straight in regards to the filming of Season 13 of Deadliest Catch. The F/V Cornelia Marie and her crew are making their way out to the fishing grounds today. (Mid. 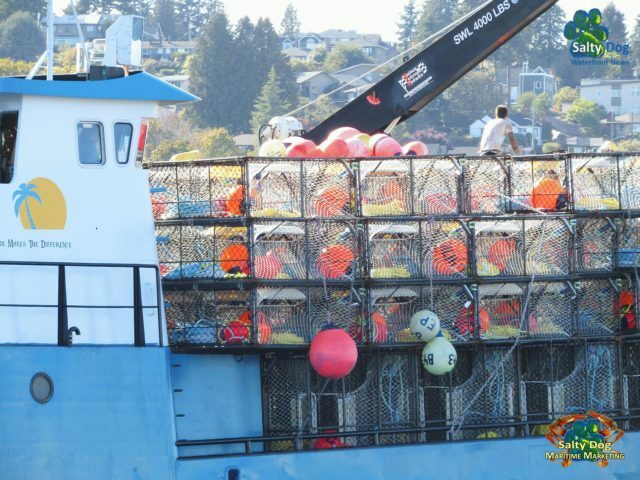 Oct. 2016) We do not have a camera crew aboard this king crab season. 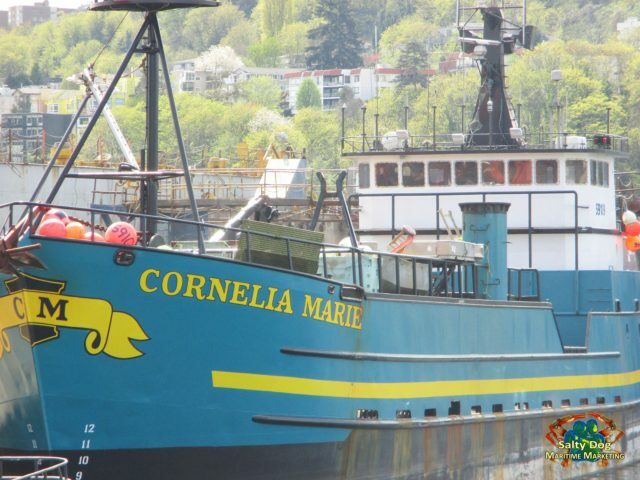 This was not our decision, and it was not made by the owners nor the captains of the Cornelia Marie. This was not a dispute over money, this was simply a decision made by production Discovery. 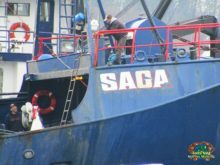 They have creative control over pretty much everything that airs on Deadliest Catch, and we respect that”, Harris describes. Josh Harris also states, “We are fishermen and we will be doing what we love to do this king crab season, but we will be doing it alone. The film crew has been like a family to us, and their absence will weigh heavy in our hearts. 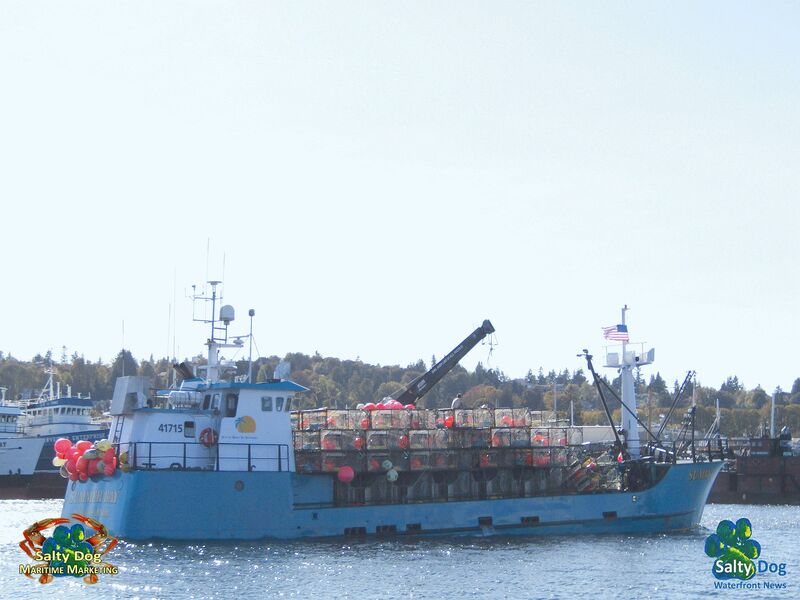 It has been a pleasure to take you on my journey as I’ve grown, as a son, a grandson, a brother, a father, and a fisherman and a captain.” God Bless Our Alaska Bering Sea Crabbers and their Families! 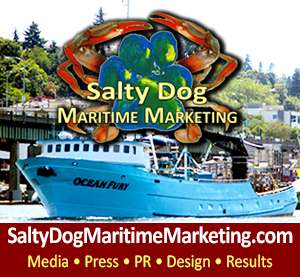 Original Photography By: Salty Dog Boating News, Salty Dog Maritime Marketing, Salty Sea Gal, Inquiries to: boating@saltydogfishingnews.com Salty Dog Marine Traffic Source PNW to AK Up & Down Hill. 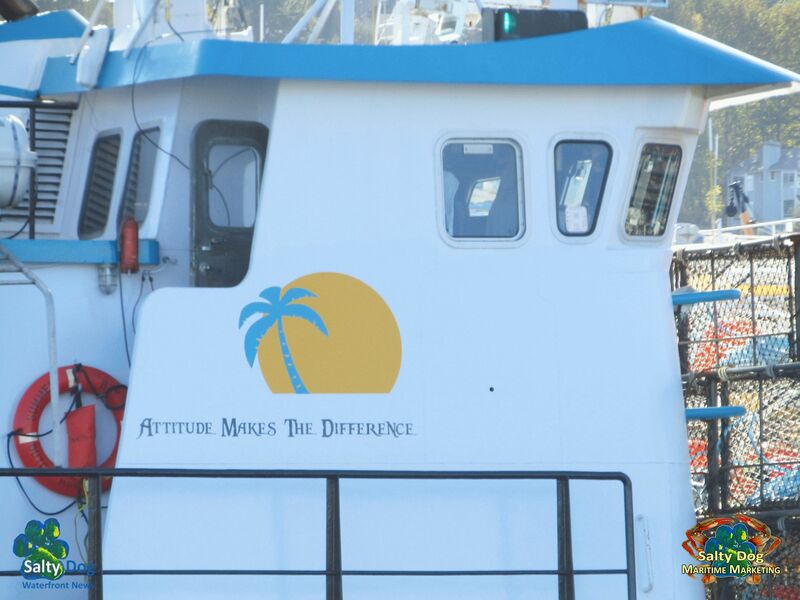 God Bless our fishermen & their families! God Bless Our Fishermen, Fisherwomen & Their Families!